The Romeo y Julieta Cedros De Luxe No.1 is a delicious and spicy medium Lonsdale, 6.5” (165mm) long, of 42 ring gauge, and comes in a 25 cigars box. 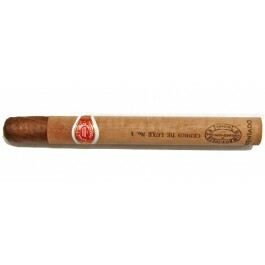 This cervantes, or Lonsdale, from the Romeo y Julieta brand, is presented with a thin cedar wrapping. 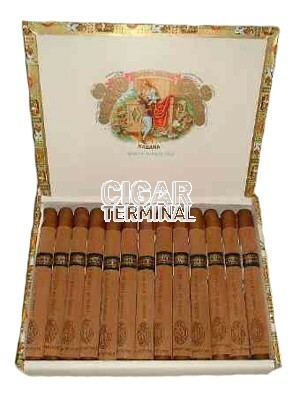 It is a discreet, smooth Habano with a delicate aroma. It is a good Habano to get initiated into the world of cigars. Comes in wrapped in cedar paper.